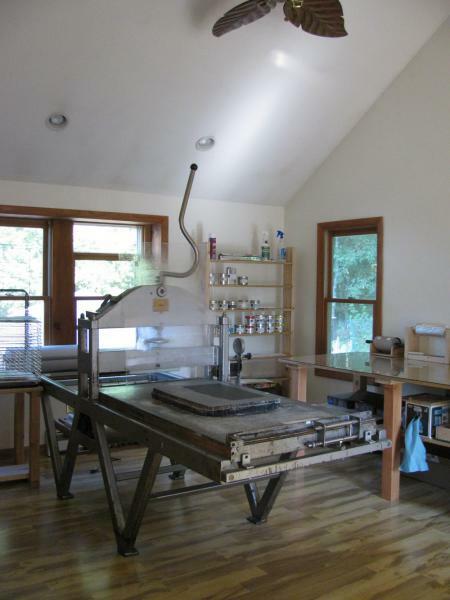 Cherry Press is a printmaking workshop that offers classes, workshops, studio/press rental, memberships, residencies, collaborative and contract printing opportunities and offsite printmaking workshops. Our focus is to preserve and further the art of traditional lithography, while embracing new, safer and less toxic techniques. We also have facilities for relief, engraving, embossing, collagraph and monotype printmaking. We will be set up for etching and photo-related processes in the future.